Sandy Springs Towing Service has been providing fast and affordable winching services in our area for years. Over the years we’ve built a reputation for being one of the fastest and most affordable services in our local community. This has been accomplish by focusing strongly on the things that really matter. Our professional tow truck drivers have years of experience handling every kind of roadside issue there is. 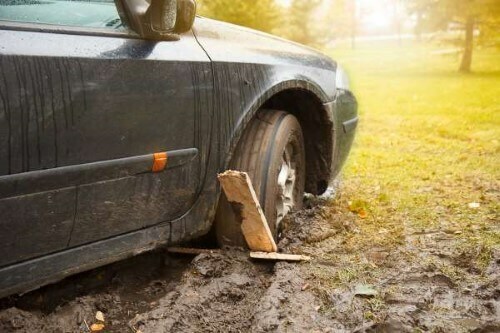 Whether you’re stuck in the mud or accidentally ran off into a ditch, we can get you back on solid ground in no time flat. And while our services are extremely affordable, we never sacrifice quality and speed of service to save a few bucks. Everyone wants a good deal, but nobody wants to wait for hours or to have their vehicle damaged in the process. After all, when you’re working with heavy vehicles that can weigh thousands of pounds, it’s very important to maintain proper safety and technique. Incorrectly using a winching service can cause serious injury to people in the area and to a vehicle. What’s more, an amateur service that will charge bottom of the bucket is more than twice as likely to have an accident on scene and be uninsured! Don’t take that chance. Call our number here 404-800-6501 for a professional winching service done right. You’ll get the best price possible, quick service, and quality that you can count on. We’re available 24 hours a day, so call any time. Years of experience and countless roadside services provided later. Our roadside assistance professionals are both eminently qualified and equipped to handle roadside problem. We understand that the circumstances are unfortunate and frustrating, and we’re here to get you back on track quickly and affordably. If you’ve been in a wreck, the most important thing is your health and your safety so please prioritize those. We take care of any kind of vehicular issue, whether it’s a flat tire or stuck in the mud situation. Minutes can turn into hours when you’re wreck, so call us immediately. The sooner we hear from you the sooner your experienced tow truck professional will get you back on the road.